In this morning’s keynote at Inside 3D Printing San Diego, Terry Wohlers, Principal Consultant and President of Wohlers Associates, Inc., presented his thoughts in a session titled, “The Future of 3D Printing.” Now celebrating the company’s 30 years and 21 years with the Wohlers Report, Wohlers acknowledged a long history in 3D printing as well as the Inside 3D Printing conferences that have created a place for the industry to expand market opportunities. Starting with a snapshot of desktop (<$5K) 3D printers, Wohlers illustrated that the market has seen extensive unit growth since 2007, with almost 70% growth in 2015 alone. The Wohlers Report suggested that in 2015, 278,385 desktop units sold, compared to 12,558 industrial machines. The big piece of the pie (about 80%) in value sales comes of course from the higher-priced industrial machines, though Wohlers noted the inevitability of growth in percentage of desktop revenues. This certainly led to the question of how many companies are involved in the desktop segment, with Wohlers noting — amidst guesses from the audience ranging from 37 to 1,000 — that, in fact, nobody knows currently. With companies getting into the industry now that barriers to entry have lowered, and an unknown number of participants from countries such as China, it’s impossible to put a number on brands in this segment. In the industrial segment, however, the number of producers doubled between 2011 (with 31 producers of industrial AM systems valued at over $5K) and 2015, when 62 producers were active. And of course there’s one segment we’ve all seen absolutely taking off recently. Metal powder consumption as well is seeing an incredible trajectory of growth, though at “only $88 million, it’s still a very, very small industry,” Wohlers remarked. The Wohlers Report 2016 counted 32 third-party producers of metal powders, versus 23 producers of polymer materials — as the metal segment is more open in materials. He also noted that this number has risen since this data was collected early in the year. “Is there anybody here who hasn’t heard about GE’s acquisition of these two companies?” Wohlers asked of GE’s acquisitions of Arcam and Concept Laser. The well-known moves, valued at over $1.3 billion, marked a major move in the shape in the industry. GE is active in verticals including aviation, energy connections, healthcare, oil & gas, power, renewable energy, transportation, current — and now additive. GE has confirmed that they will sell and service machines even to competitors through their new GE Additive business. GE Additive is also poised to support all of the company’s verticals. Over the first five years, 95% of sales will be to non-GE companies, and Wohlers noted that this percentage is poised to grow. Wohlers additionally guessed that HP may have already invested $300-$500 million into their own additive activities in their well-publicized move into the additive arena. Speaking on investments, he continued that Carbon’s $220M investments were unprecedented in the industry. Popular brands are also entering the industry, including Lenovo, Polaroid, Toshiba, Mattel, Canon, and Ricoh. Wohlers next took us on a “pop around the world” trip to check in on some looks at the global industry. Starting in South Africa, we saw an unnamed company’s propeller for a big air compressor, created using the voxeljet system to 3D print the sand molds and cores — saving $147K per casting, as well as 8-11 months on delivery. Fouche 3D Printing, with their Cheetah 3D printer that we’ve been following for some time now, can print 0.5 kg/hr, and additionally has a food 3D printer that can create using mashed potatoes, peanut butter, yogurt, and more. Next up, we looked at South Korea, where Wohlers highlighted ROKIT, the first company other than Stratasys to 3D print with ULTEM 9085 on their ~$15K machine. The heated build patent that Stratasys owns, Wohlers pointed out, expires next year, which may additionally shake up the shape of this particular application. Turning to China, he looked at Bright Laser Technologies (BLT), which runs 24 metal AM machines in-house, including 11 EOS M machines. He noted additional companies throughout Asia working on metal AM technologies. A key foundation patent expired on December 2, 2016: the SLM patent by Meiners, Wissenbach, and Gasser, which has allowed for additional exploration in this field. Wohlers turned next to a look at Airbus, showing photos of designs in development. Both commercial and military, the designs all showcase metal AM technologies (and are still under development, with images not available currently for broader distribution). All of these designs, some already put into use in aircraft, were completely 3D printed as end-use components. For example, a traditionally manufactured hydraulic reservoir rack consisted of 126 parts and 27 fasteners, which AM consolidated into 3 components. “They are very serious about using additive manufacturing for final production in aerospace,” Wohlers remarked of Airbus, which is on track to print 30 tons per month by December 2018. Aside from the now-famous Airbus A350 cabin bracket, the first production part is a fuel pipe elbow for the A400 transport aircraft, from Premium AEROTEC, which is 100% owned by Airbus. We looked next to automation, with Wohlers referring back to last month’s formnext event in Frankfurt, noting that now we’re seeing a good deal of build-related automation. Post-processing is the “AM industry’s dirty little secret,” Wohlers Associate Consultant Olaf Diegel was quoted as having remarked. Many necessary steps involved in post-processing are required in aerospace- and medical-quality parts. Surface machining, shot peening, etc. Turning next to the US, Wohlers shared a look at his recent visit to Markforged, which has a reputation for strength in reinforced 3D prints. Since October 2014, Wohlers noted that he has seen the new machine from HP six times around the world. Their technology, which we have been closely following, offers a unique approach to additive manufacturing and employs key partnerships to control the material properties of a voxel. Looking next to hybrid systems, including from Mazak, Optomec, and DMG Mori Seiki, Wohlers noted that at least 10 companies have rolled out products that seek to roll up 3D printing and milling technologies. He looked as well toward the notion of 3D printing circuits, including work from Nano Dimension and Optomec. Optomec created a phone frame with an embedded 3D printed antenna, for example. Nano Dimension is another one to watch, he pointed out, as they now approach traditional-looking circuit design. “There’s still work that needs to be done,” Wohlers said. 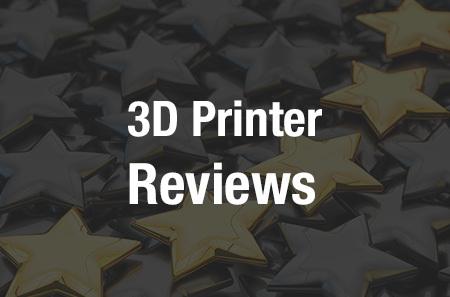 Consumer 3D printing is another segment of interest. While many may consider the desktop 3D printer segment to mean consumer 3D printers, Wohlers pointed out that that’s not exactly what he’s looking at here. Looking toward expenses as well, Wohlers highlighted titanium 3D printed bottle openers used as giveaways, and then examined use in the automotive industry. Companies including Ferrari, Audi, Lamborghini, Aston Martin, and Bentley are in the mix now — but the excitement will come as more accessible car brands produce more affordable and higher-volume vehicles. 3D printed buildings, as well, such as those from WinSun, may be in the mix — but Wohlers doesn’t see a case for them right now. Looking at adoption, Wohlers turned to the medical and dental industry, noting the 3D Systems facility tour we both attended on Monday of this week in Denver, as well as aerospace and other markets that are seeing rises in adoption. But a key point in all this — will 3D printing create or destroy jobs? Contributors to the “AM wildfire” and “tipping point” of 3D printing, which he believe occurred in 2012, Wohlers noted 3D printed guns (“Whatever your view is on guns, you can’t deny that they gained a lot of attention and introduced the subject of 3D printing to many people”), low-cost 3D printers, high-end applications, the formation of America Makes, and continued growth (noting a 31.5% CAGR over the past three years). Wohlers additionally commented that last year at this event in Santa Clara, he counted no fewer than 26 startups. Growth, investment, new products and services, and national programs are all coming together to shape the 3D printing industry.